The first time I have the great pleasure to show you some of the fabulous creations of House of Beningborough. 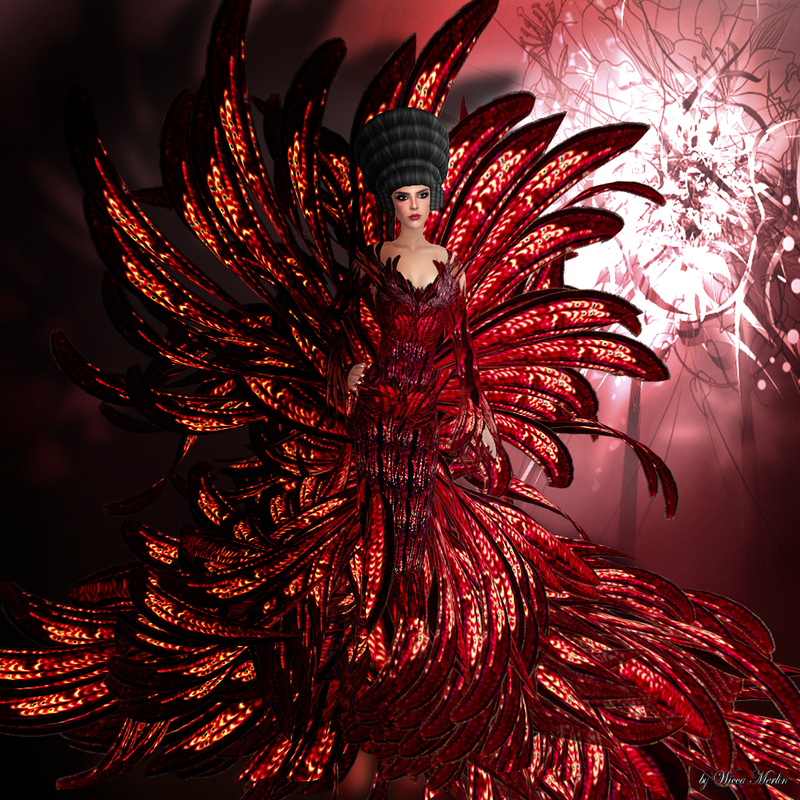 Bliss Beningborough, designer of HoB, creates very artistic and powerful gowns. The first one for this post is a very special and avantgarde design that was made for the fabulous EVANE Avantgarde show. “Avant Garde” is a fabulous gown with amazing prim attachments. The skirt is made very aerial. Black leather stripes wave round your legs dreamy flexi. The waist is decorated with a huge attachment that is repeated in its style at the neck and the wrists. Over the shoulders you can see the same leather straps that are used for the skirt. “Avant Garde” honors its name in every way and is a little peace of art. A definitely must have for every fashionistas wardrobe! The second gown is available in many different colors. For this post we have the scarlet/gold version. “Wonderland” contains different possibilities to wear with various attachments. The first and the biggest version we can see above, the big back attachment makes a very glamorous look and the wide skirt with all its lovely flexi parts wave amazing with every movement. I just took of the back part and the big skirt and attached the cute little skirt parts, tought for the tight version of this gown. Also you have another possibility for the neck and chest part. Attachments in the front and in the back make a great frame for the deep neckline and add a special mystic touch.